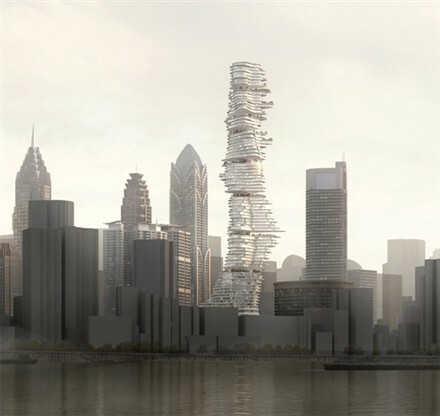 MAD architects' new project 'Urban Forest' is located in Chongqing, China. Urban Forest is a commercial high-rise building that takes the form of an urban mountain with over 70 floors, each one different and unique. 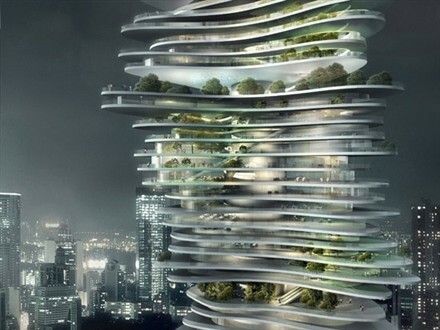 Each floor is seen as a separate and unique level of the urban forest and is meant to combine both nature and the urban metropolis. "Drawing on the mountainous landscape of the country, the commercial high-rise building, is made up of curved, abstracted shaped floors which have been layered slightly off-center from one another. 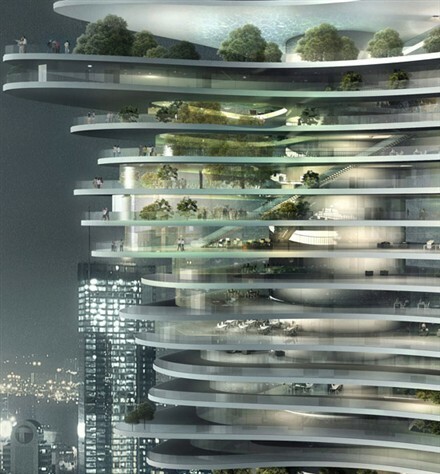 Connected by a core cylindrical structure, each level's interior is protected by full length glass windows with a see-through, wrap around balcony. This provides transparency throughout the building, and makes the floors almost seem as if they are floating on top of one another. The overall design brings together nature and the urban metropolis, with the incorporation of green space and large expansive views of the city." 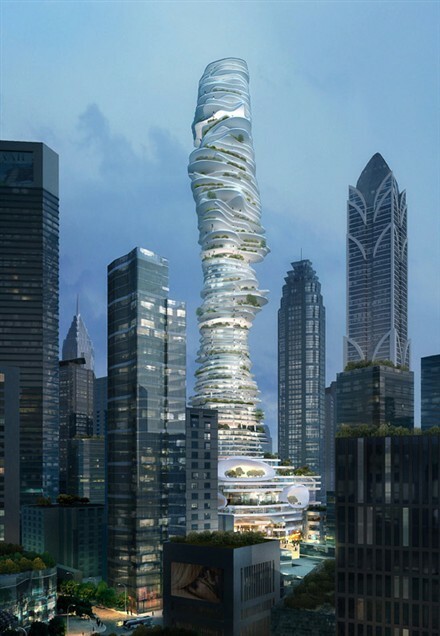 MAD Architects is becoming more known for their sustainable designs. This is not their first swirly tower; they have one under construction just outside of Toronto, nicknamed the Marilyn Monroe building because of its curves.